It’s prom season and closing in on summer break for the high school crowd. Sure there’ll be some well-earned downtime at the lake or beach or just in the backyard, but that’s good for an initial break… to avoid the seasonal ennui that gets teens mired in bad re-runs on TV or computer games or lost afternoons at the mall, maybe a volunteer program abroad is the answer. I would’ve jumped through rings of fire for an opportunity like these instead of summers working the drive-thru window at Carl’s Jr. Projects Abroad has a plethora of 2-week service trips focused specifically for high school kids. Projects Abroad’s two-week programs for high school students are designed to provide valuable work experience or help develop a particular skill. The basic program involves two weeks for work and a weekend tourism excursion. Projects are available in the areas of Care, Conservation & Environment, Community, Journalism, Law & Human Rights, Medicine & Healthcare, Sports, Teaching and Veterinary Medicine. Spanish & Turtle Conservation in Mexico – Volunteers are located at the Campamento Tecoman biological station on the Pacific Coast where they receive up to four hours of Spanish instruction a day. In the evenings they help count, collect and bury eggs of the rare Olive Ridley turtle in a safe location, then help release the newborns into the sea. Volunteers can also look after injured adult turtles, be involved with crocodile conservation work and study wildlife in the local lagoon. Sessions are June 27-July 10, July 18-31 and August 8-21. Care & Community Projects in Ghana – Volunteers will work at an orphanage or help renovate a local school and arrange activities for children of the community. Weekend excursions include the Kakum Rainforest Reserve and Cape Coast’s slave fort. Sessions take place June 27-July 10, July 18-31 and August 1-14. Inca Projects & Archaeology in Peru – Volunteers begin in Cusco with an introduction to the history of the Inca Empire, then head to the small Andean village of Huyro to help uncover Inca structures with local archaeologists. During the weekend they will visit the archaeological wonders of Machu Picchu and other ruins, explore markets, and can also white water raft down the Urubamba River. Sessions are available June 27-July 10, July 18-31 and August 1-14. Community Building in South Africa – Volunteers help members of the impoverished community of Mfuleni build better quality homes. They live with local host families, and on the weekend will visit Table Mountain and Cape Point National Park or even have an opportunity to go whale watching at Hermanus. Sessions take place July 11-July 24 and August 1-14. For a complete list of Projects Abroad’s special two-week high-school programs and session dates go to http://www.projects-abroad.org/projects/2-week-high-school-specials/. 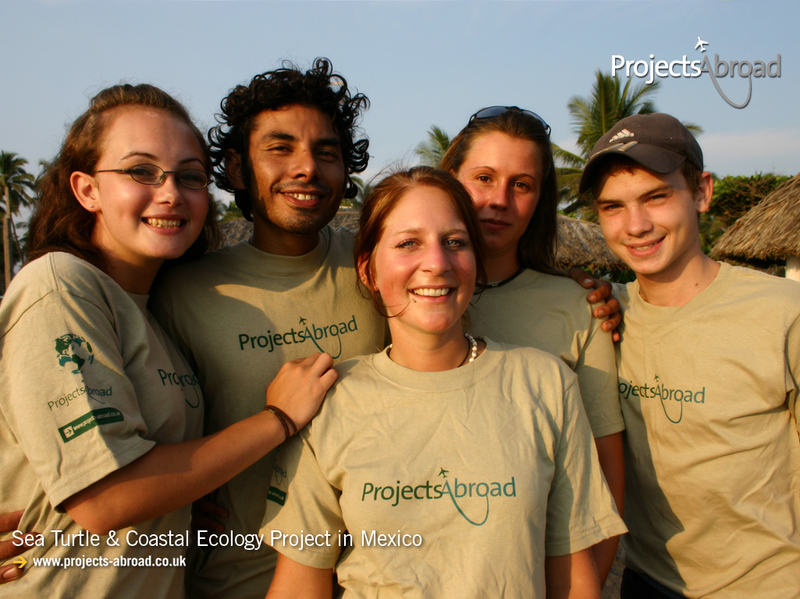 For details on all Projects Abroad destinations and programs visit www.projects-abroad.org.